Basil Beattie (b. 1935, West Hartlepoole, UK) studied at West Hartlepool College of Art and at the Royal Academy Schools, London. He taught at Goldsmiths College, London, from the 1960s to the 1990s. 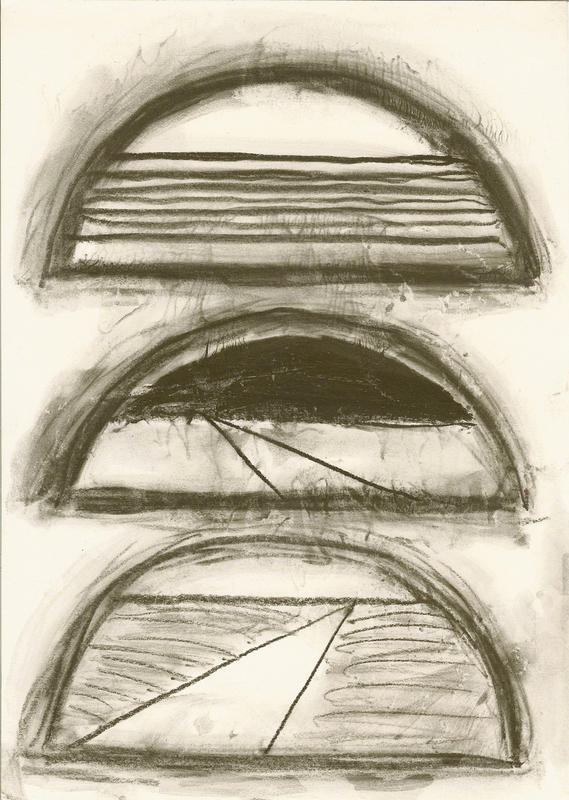 Over the last few decades, his large and inventive abstracts have increasingly adopted a system of pictographic signs; doorways, stairways, archways, ziggurats, corners and long tunnels. Beattie sees these more as psychological states, rather than an illustrative or figurative association. Recent solo shows include: Basil Beattie, Jerwood Gallery Hastings (2013); Basil Beattie Paintings, Hilton Fine Art, Bath (2013); Onward and Upward, James Hyman Gallery, London (2011); Paintings from the Janus series II, Abot Hall, Cumbria (2010); Draw In Drawn Out Eagle Gallery, London (2009); Paintings from the Janus series, Purdy Hicks Gallery, London (2009); Basil Beattie, Two Rooms, New Zealand (2008); and Basil Beattie BP, New Displays, Tate Britain (2007). He is represented in many major collections in the United Kingdom, including the Saatchi Collection and the Tate Gallery.